by Venus Zoleta, on category "Car Insurance"
Pasaway, kamote, balinghoy, kaskasero—Pinoys on online communities for motorists use different names to refer to the bad guys on the road. Hate them? Of course, who doesn’t? It’s frustrating to encounter drivers who forget road safety tips, lack driving etiquette or break traffic rules. How about you? How would you rate your own driving habits? Are you like what other motorists would consider a kamote driver? Each time you’re behind the wheel, you’re responsible for the safety not just of your own but also your passengers, pedestrians, and fellow drivers. As a driver, you definitely have room for improvement. These 10 driving tips for beginners (and even experienced drivers) should help you avoid being reckless on the road. For driving noobs, it isn’t enough to just get a driver’s license. More than having the license to drive a vehicle, arming yourself with knowledge about how to do it properly matters a lot. Just one seemingly simple driving mistake can claim lives. Or if you and your passengers come out unscathed from an accident, you’ll bear the high costs of having your car fixed, unless it’s insured. So before you drive for the first time, get training from a reputable driving school. Attending driver’s education classes can help you learn and understand the traffic rules in the Philippines. It also enhances your skills in various situations like nighttime and rainy weather. Most importantly, after you practice driving with a certified professional, you’ll gain the confidence you need to drive smoothly. Read more: Should I Attend Driving School? One of the most annoying things drivers do (especially in Metro Manila) is turning or swerving without their signal lights on. Interestingly, other drivers use their signal lights but aren’t actually going to turn. So that other motorists won’t accidentally hit your car (and possibly cause road rage), make sure to turn on your signal lights when you’re about to turn, change lanes, back up, or make a U-turn. Also, avoid confusing your fellow drivers with your signal lights switched on when you don’t intend to turn. Be on the lookout for other vehicles such as motorcycles, scooters, and bicycles. Especially in jam-packed traffic, motorcycle riders tend to squeeze themselves between vehicles. When a car runs over a motorcycle, the person driving the bigger vehicle is often held liable even if the rider is at fault. Well, that’s just the way things go in the Philippines. So whether or not you see a two-wheeled vehicle next to you (or behind you), be sure to check your side mirror and rearview mirror first before turning. Adjust your mirrors to the correct angle, so you can eliminate blind spots. Same goes for pedestrians—always watch out for anyone crossing the street. Staying alert is a critical skill to develop for any driver. Roads aren’t a 100% safe place to be in, so it’s important that you’re in a good mental and physical state before you drive. If you’re intoxicated, running on just a few hours of sleep, drowsy, or under medication, it’s better to just hail a cab, have a trusted friend drive you to your destination, or postpone driving your car until you’re sober or feeling better. The bad state of traffic in the Philippines’ major roads makes motorists unleash their inner beast when someone cuts in front of them and all sorts of irritating driving behaviors. But then it’s always better to be patient and considerate of fellow drivers. Give the right of way to other motorists. Let pedestrians ahead of you cross the road. It’ll be just a short wait anyway. Your time is precious, but wasting it to argue with an erring driver or pedestrian isn’t worth it. No matter if you’re busy or in a hurry, you shouldn’t be doing something else that distracts you while driving. Sneaking in a few seconds to take a selfie or reply to a text message isn’t harmless at all. If you really have to call or text someone, pull over safely to the roadside. If not, then just keep your hands on the wheel and your eyes on the road. Photo by Judgefloro via Wikimedia CommonsRoad lanes exist for a good reason—they guide drivers and help reduce traffic chaos. What’s the point of having lanes for different types of vehicles when drivers don’t respect them? Stay on your lane and respect other lanes, such as bike lanes and those for public utility vehicles in EDSA (also known as the yellow lane). Private vehicles can only use the yellow lane at 100 meters before exiting EDSA. Also, be familiar with the basic road markings in the Philippines to avoid accidents and breaking traffic rules. 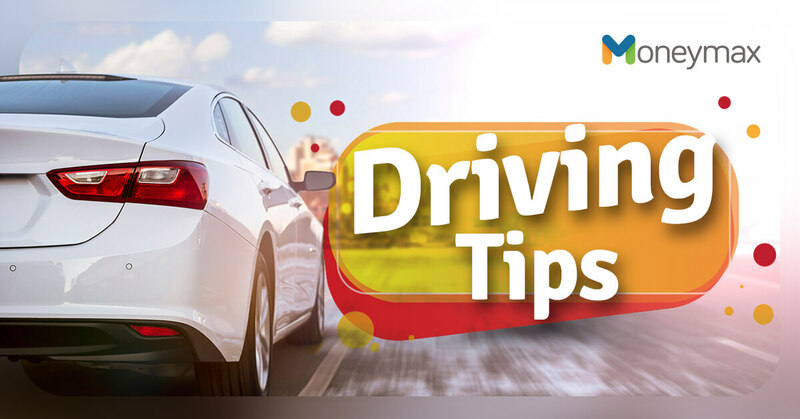 One of the basic driving tips for new drivers is to relax and focus while steering the wheel. You’re likely to make more mistakes if you are too anxious or often overthink the situation. When nerves get the better of you, just breathe deeply and calm down. You’ll be all right. Better yet, get a driving buddy to help calm your nerves on your first few drives. Don’t treat the road as a racetrack—it isn’t a competition that you have to win. Overspeeding reduces your control over your car, as well as your reaction time when someone suddenly crosses or a vehicle pulls out in front of you. Can you risk your life and somebody else’s just because you’re rushing? Comply with the speed limits on different types of roads in the Philippines. For instance, keep your maximum speed at 80 KPH when driving along expressways, 30 KPH on city streets, and 20 KPH on busy streets. Learn the vehicle coding rules in the cities you usually drive to avoid getting a ticket from the MMDA for violation of the Unified Vehicular Volume Reduction Program. On major roads in Metro Manila, remember that you can’t drive from 7 am to 8 pm on a certain day of the week depending on the last digit on your plate number. For instance, if your license plate ends with 1 or 2, you can’t drive on Mondays. To avoid getting caught in heavy traffic and breaking the number coding scheme, try to leave earlier. Find out also if you’re qualified for a vehicle coding exemption in your city. Nobody wants to be known as a pasaway driver as much as to deal with one. All these driving tips for new drivers are meant to help you develop safe and defensive driving habits. This way, you avoid breaking any traffic law (and getting a penalty for violating it) and being involved in a road accident.